wonderful art! the shame is that if Lynch’s Dune was made today it would have been released at 3+ hours because the public is used to longer films. (or they would have just made a trilogy). 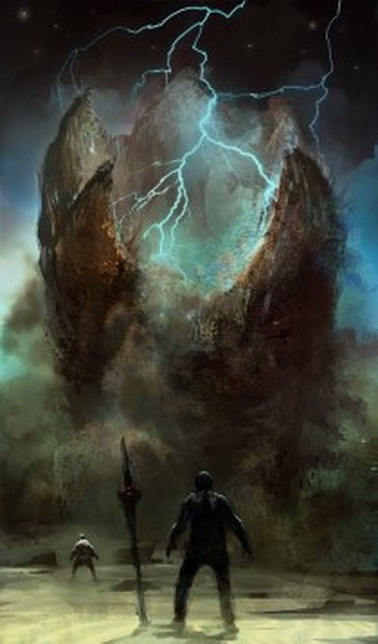 Yes, the concept art is especially impressive! At least Lynch’s film did make me want to go track down th original novel. Read various passages, but found it tough going. Now, having blogged about SF, I’m ready to give it another go. Thanks for your support as always – maybe I shall prepare a Superman vs Batman Preview v soon! 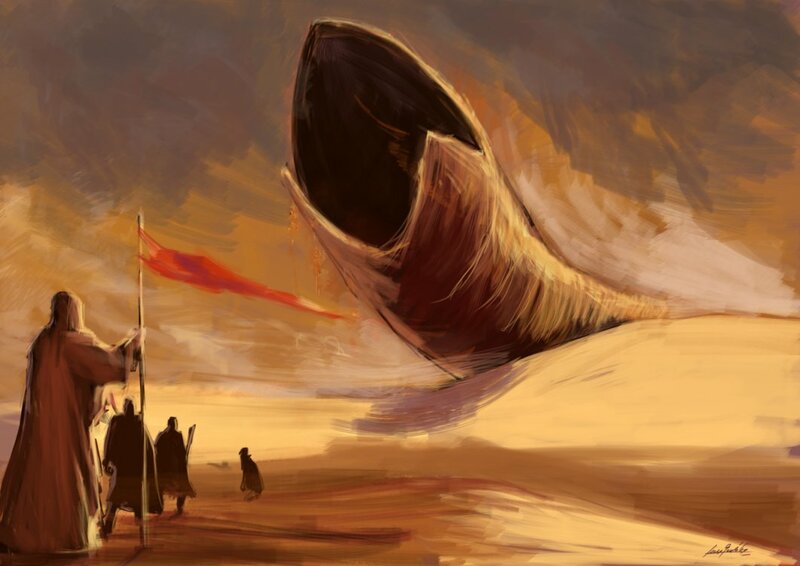 I certainly think Dune stands up a lot better than a lot of SF of its time because alongside its ecological message, it still has a great story. When Paul and Jessica are lost in the desert, you cannot imagine how they are going to escape and then lead a supposed galactic jihad, as has been prophesised. My favourite of the original six books is Dune: Messiah. It would be good to hear your thoughts on that. Thank you for your Comment, Alastair! Yes, Dune Messiah is th 2nd in th series, isn’t it? I already own Children of Dune (no. 3), so am looking forward to reviewing th original trilogy this winter. Is Dune th only SF classic in which th hero is accompanied by his mum?! I love it! His mum does tag along doesn’t she? Mind you, family relationships get a whole lot weirder later in the series! Paul is only a teenager when we are 1st introduced to him, so that explains it. As for th weirder stuff, I shall get thro th series in due course! Love this post! 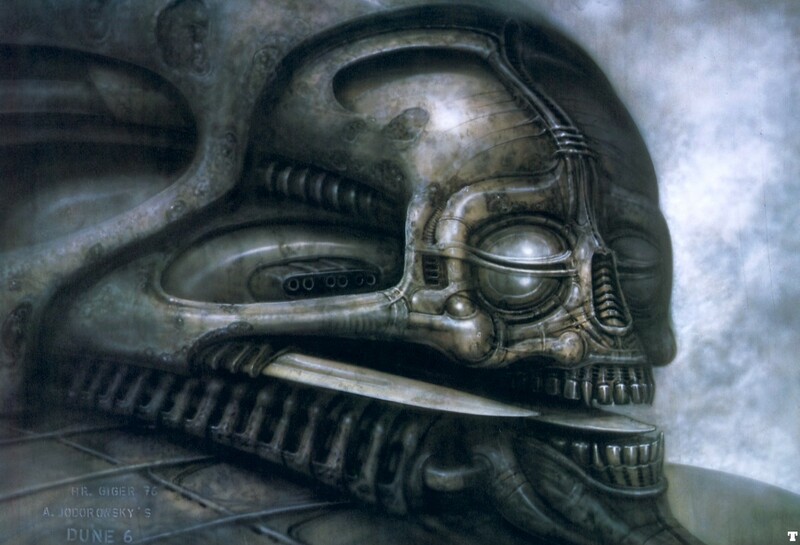 I loved the Dune novels and to a certain extent enjoyed Lynch’s film as well. I wish Jodorowsky’s film had been made though because it sounded too good to be true! Thank u so much, Anna! Really need to catch up on th original Dune trilogy this Winter. What is most frustrating about Jodorowsky’s Dune is that it would be EVEN MORE difficult to produce now – studios wld not see ANY commercial viability in it! Thank u for Liking my stuff – always v much appreciated! I don’t usually go in for sci-fi but I do love good literature, and I did love this book. I was also heartbroken by the excellent documentary Jodorowsky’s Dune. So much effort to come to so little. It’s hard to bear. Yes, I must catch the documentary: Jodorowsky’s Dune some time soon. Thanks for your Comment! Glad u enjoyed this Post! Oh no, good gravy, I won’t, heaven forbid! 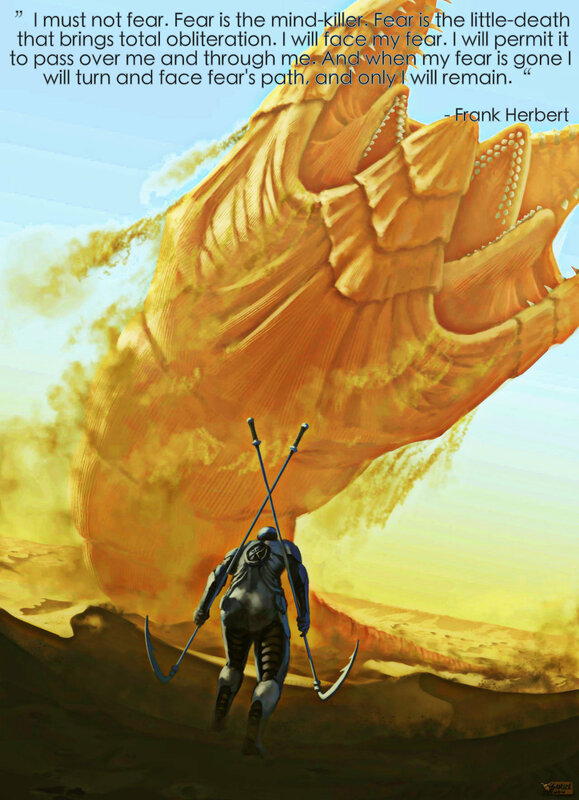 Loved the Frank Herbert Quote on fear…. Nice art as well…. Thanks for your Comment, Piyu!